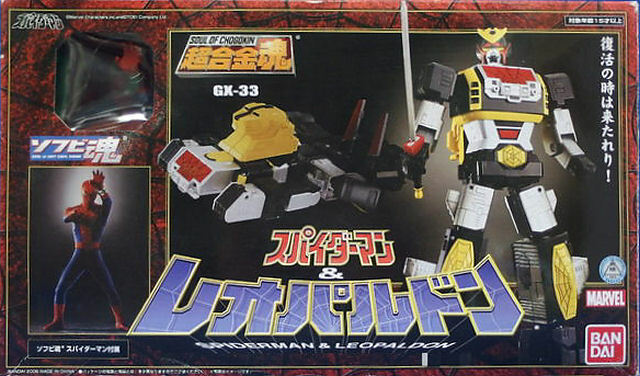 Para quem nunca foi apresentado, Chogokin (超合金) — literalmente “super-alloy” ou “super liga metálica” — é um nome que virou meio que um termo genérico lá no Japão (como Xerox, ou Band-Aid) e que, na sua essência, define um brinquedo de metal do tipo die-cast que pode ser um carrinho, personagens infantis/super-heróis (Tokusatsu) e — é claro — naves espaciais e robôs gigantes. Na cultura popular japônica, Chogokin seria algo parecido com o “Adamantium” do universo Marvel ou seja, um metal indestrutível feito de “Japanium” (sic), substância encontrada em sedimentos do monte Fuji (sic! sic!) 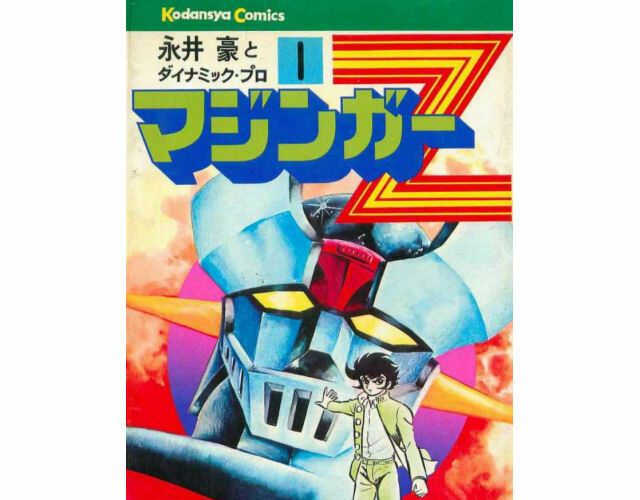 e usada na construção do robô Mazinger-Z, criação do genial (e as vezes meio pirado) cartunista Go Nagai que surgiu nos anos 1970 na forma de mangá e anime. 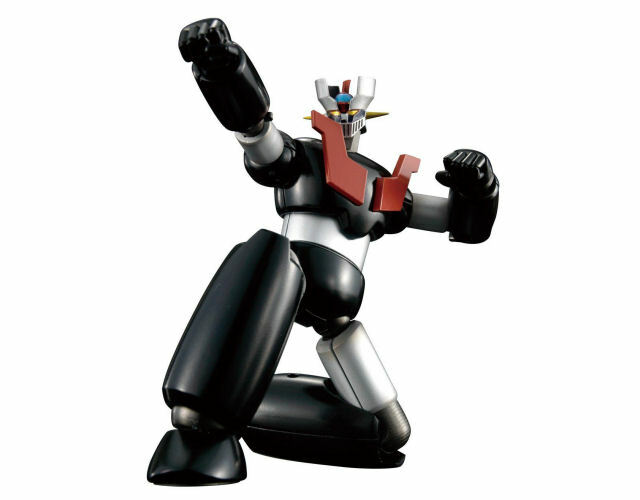 Em 1974, a fabricante de brinquedos Popy (uma subsidiária da Bandai) adotou esse nome para criar seu primeiro boneco de ação feito de “Chogokin” — o Mazinger Z modelo “GA-01” (a esquerda). Eles combinam partes de metal e plástico injetado e são considerados obras primas da engenharia de manufatura por usar técnicas avançadas de moldagem, pinturas com acabamento polido, partes cromadas e a adoção de uma série de idéias e truques que encantavam a criançada e os marmanjos também — como partes ejetáveis (punhos, foguetes e até bazoongas), compartimentos ocultos, recursos de modificação (a la transformers), armas e acessórios diversos e até articulações unidas por magnetos (o que permitia que a criança literalmente trocasse os braços pelas pernas do robô). Mas com a popularização do uso de plásticos ABS e PVC na fabricação de brinquedos, o Chogokin como produto de massa entrou em decadência depois dos anos 1980, de modo que, nos dias de hoje ele sobrevive mais como um produto de nicho de alta qualidade, excelente acabamento e preço compatível voltado para o mercado de colecionadores — em especial uma série conhecida como Soul of Chogokin. Outro exemplo bem curioso (para não dizer bizarro) de Chogokin é Leopardon — um robô pilotado por ninguém mais, ninguém menos que o Homem-Aranha, personagem da Marvel que foi licenciado pela Toei que fez dele um genuíno super-herói de Tokusatsu com direito a super carro, robô com espada de samurai gigante, nave espacial e outros brinquedos que um estudante na pindaíba como Peter Parker nunca sonhou em ter nos EUA. … e o curioso “modo dirigir” que permite que o robô se desloque como um carro, só que andando de lado. A previsão é que ele chegue ao mercado em meados deste ano no Japão pela bagatela de 4.400 ienes (~R$ 100 sem impostos) e já pode ser reservado no Amazon.co.jp e no Japan TrendShop. A empresa já declarou que existem planos de levar esse produtos para outras geografias como no Amazon dos EUA por US$ 43.. No Brasil só conhecemos uma empresa que distribui oficialmente produtos da Bandai — a Pizii Toys. Para aqueles que desejam saber um pouco mais sobre a influência dos robôs gigantes na indústria cultural nipônica, o a Agência para Assuntos Culturais do governo japonês por meio do seu Escritório de Informações sobre Manga, Animação, Jogos e Artes na Mídia disponibilizou recentemente na web um curioso relatório intitulado “Japanese Animation Guide: The History of Robot Anime“. Trata-se de uma versão resumida do original publicado no ano passado e que pela primeira vez está disponível em inglês. 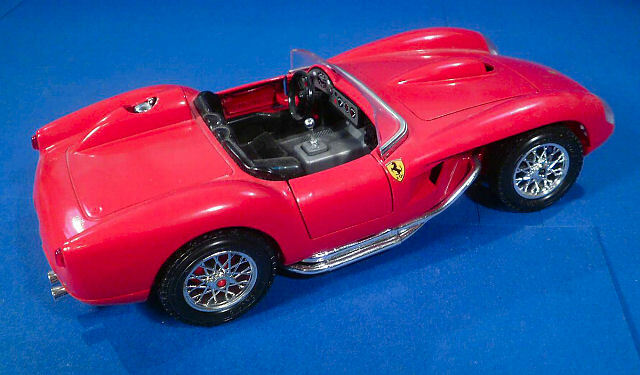 These characteristics led to a new development: the shows acting as vehicles for toy sales. It also occurred in parallel with the trend of “motorization” – the spread of personal car and motorbike ownership in Japan. 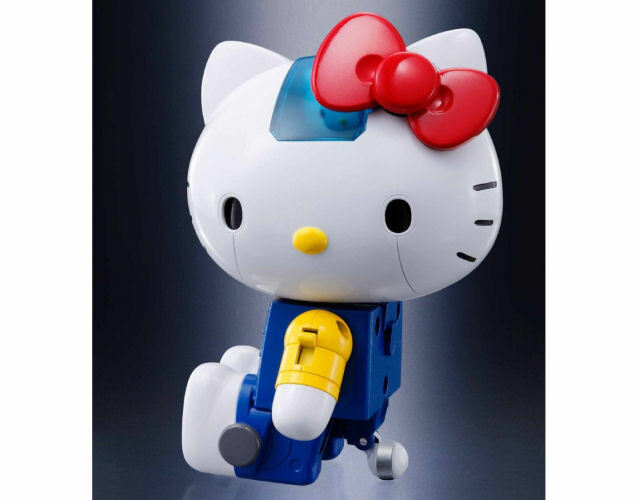 This image of robots as driveable vehicles proved irresistible to a new generation of young viewers. 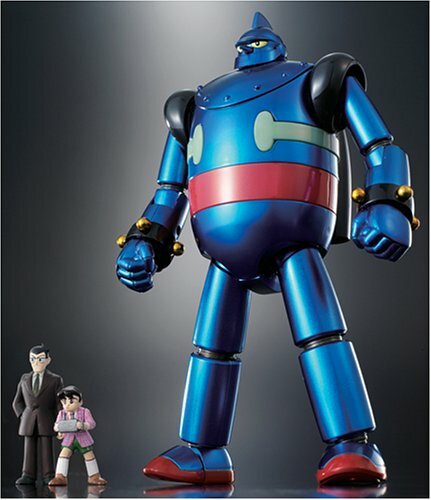 The predecessor of “Mazinger Z,” “Tetsujin 28-gō,” established the concept of a series centered on a giant robot hero. 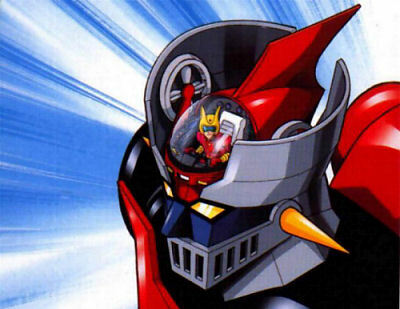 But “Mazinger Z” added two unique new marketing points to the paradigm established by its ancestor. The first was the union of man and machine, by placing the pilot inside the robot itself. The second was dropping the black pupils that suggested humanity in previous robot designs. 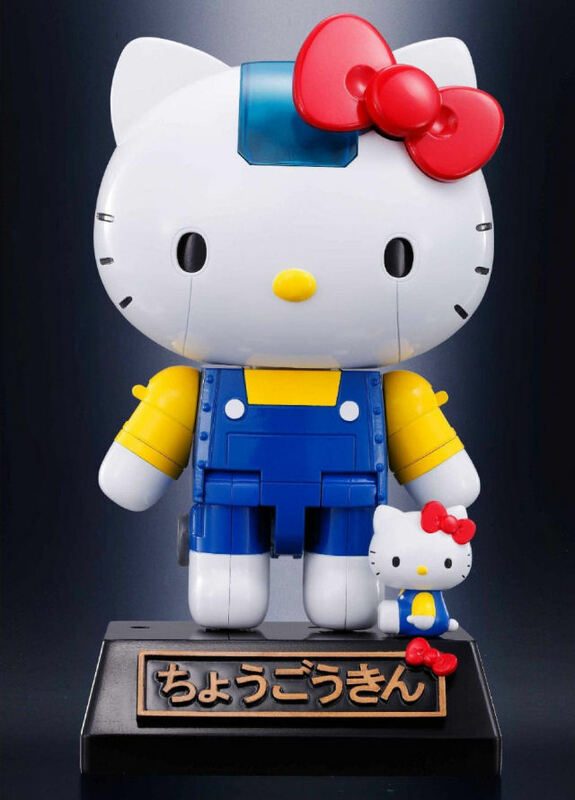 The combination of these two new elements represented the transformation of the giant robot into a “morphing” hero. And the lack of pupils placed them squarely within the design trend of popular live action heroes such as Ultraman and Kamen Rider. In fact, looking back, these two elements clearly illustrate the reason why robot anime transformed into the strongest genre the Japanese anime industry had ever seen. To use the metaphor of a relay race, anime and tokusatsu shot out of the gate together in the early days of postwar entertainment, handing off the baton to their respective successors as the field grew. Robot anime emerged as the “anchor” of the anime industry. Raideen established several key concepts that would turn into archetypes for late-Seventies robot anime. 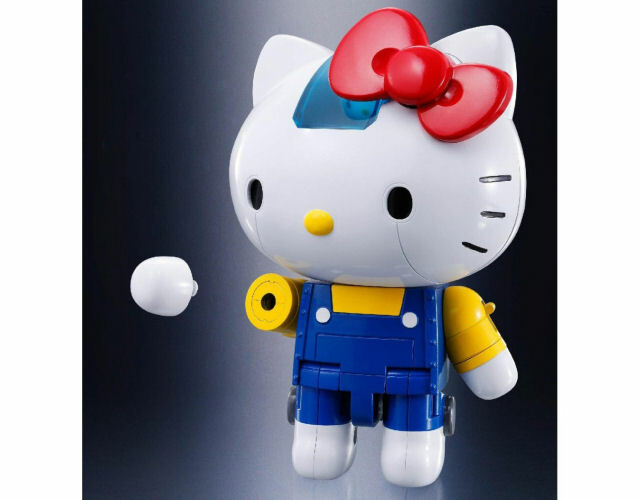 The first was the consideration of merchandising potential from the very beginning of the process, creating a hero robot character with “play value” as a product. 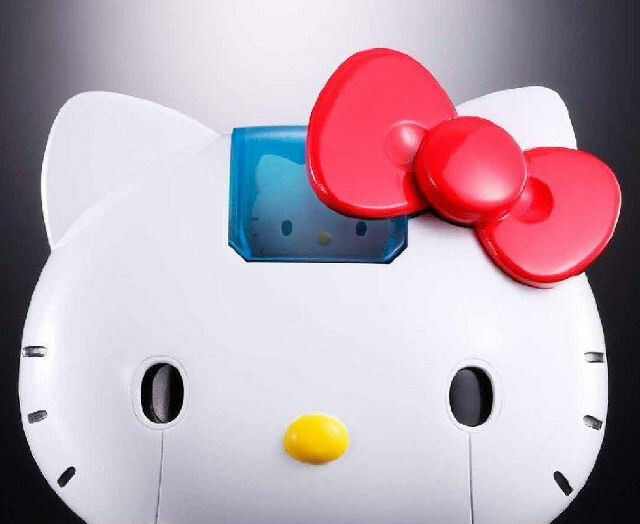 This required thinking up a central “gimmick” that would give the robot a valuable sales hook when sold as a toy. 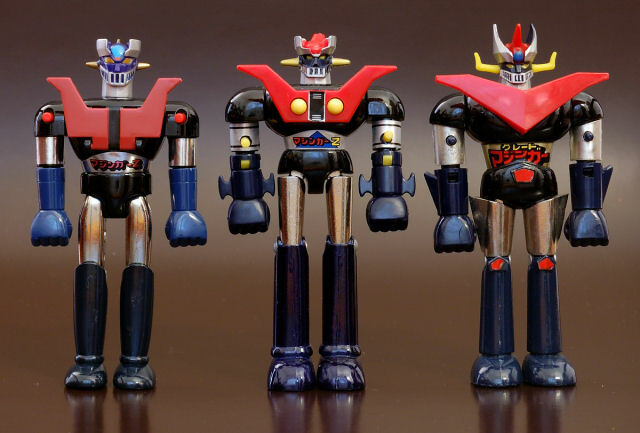 This isn’t to say that earlier robots such as “Mazinger Z” lacked play value as toys. 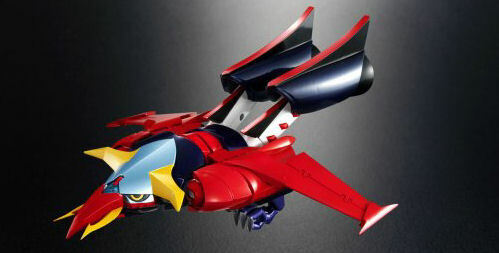 The Mazinger Z Chogokin featured a spring-loaded “rocket punch” gimmick, for example. However, the character’s core feature – the pilot docking a hovercraft-like “Hover Pilder” in Mazinger’s head – wasn’t clearly understood in terms of play value. 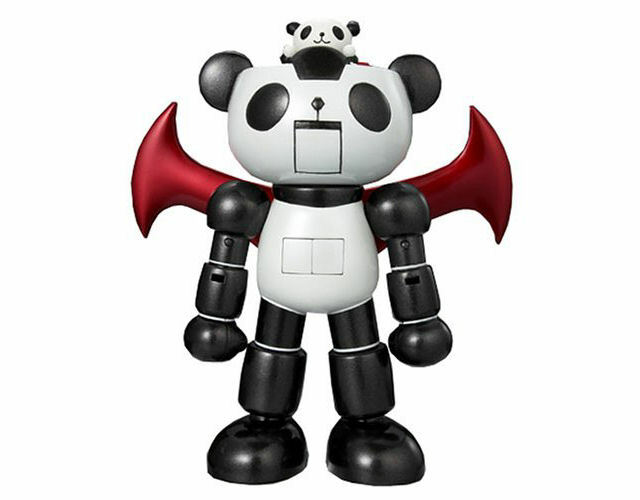 Another version of the character, a sixty-centimeter (two foot) tall “Jumbo Machinder Mazinger Z,” also became a major hit. Its main play value involved the ability to swap its arms out for various weaponry, a feature that didn’t appear in the anime show at all. 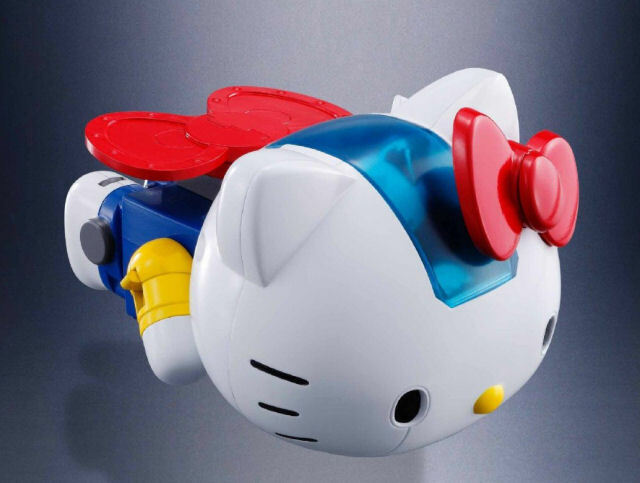 The appearance of this original gimmick introduced by the toy manufacturer represents their dawning realization of the importance of being involved in developing the characters themselves. 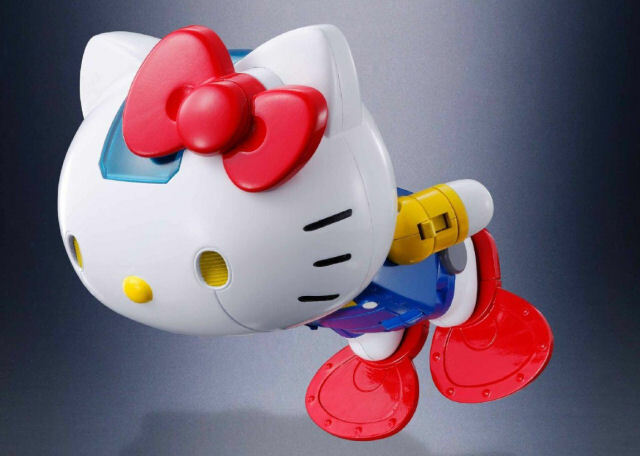 In spring of 1974, the first of the “gattai” (combining) robot characters debuted. 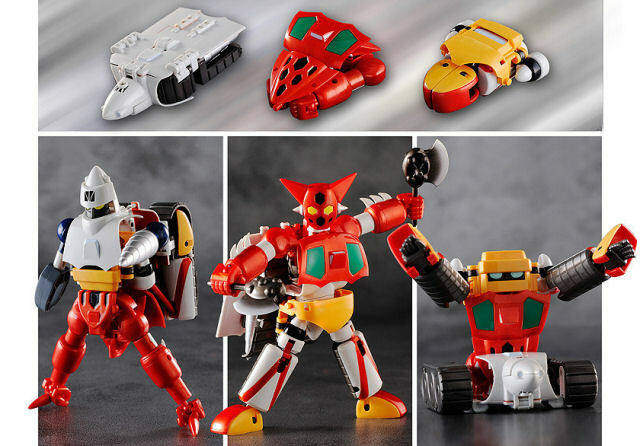 Called “Getter Robo,” it was created by Go Nagai, the same man who had created Mazinger Z. It featured three spacecraft called “Gett Machines” that could combine in three different ways to create three different giant robots: Getter 1, 2, and 3. Its visuals were extremely cutting edge for the time, and it represents the ancestor of all combining robot designs. However, the combination was only possible via the “magic” of animation, more of a metamorphosis than a mechanical docking sequence. This made it virtually impossible to replicate as a three-dimensional object. The best Popy’s engineers could manage was a toy of the Gett Machine “Eagle” that transformed into a facsimile of Getter 1 ‘s head. 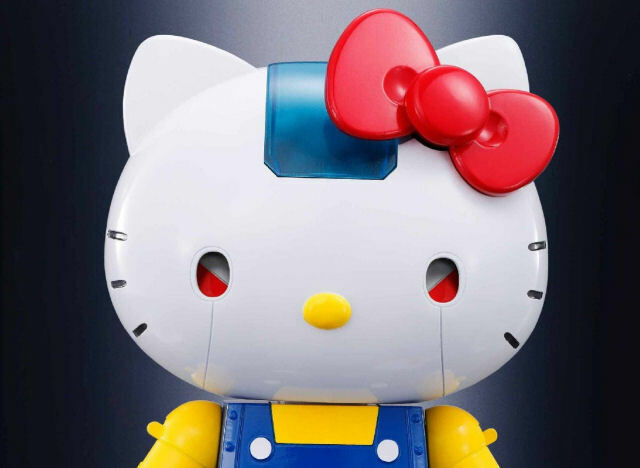 This led to toy manufacturers pushing to close the gap between the on-screen portrayal and the merchandise. 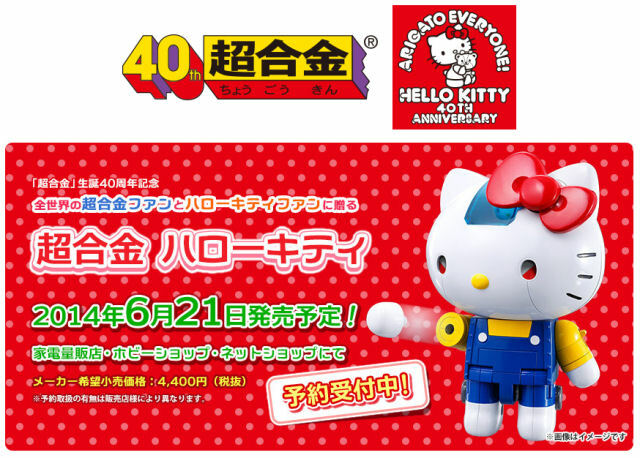 Katsushi Murakami was the man behind many of the Popy (Bandai) Chogokin success stories. Trained as an industrial designer, he began his career at “Terebi Manga” (TV Manga) magzine. One of his earliest designs was the “Raijin-gō,” a flying car driven by the hero of the tokusatsu TV series “Inazuman.” He would come to play a central role in the Raideen production as well. 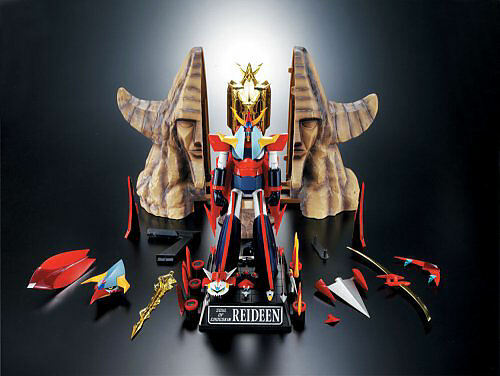 He oversaw its design, ensuring that a humanoid robot (Raideen) could actually transform into a flying mode (“God Bird”), so that the accuracy of the toy as compared to its on-screen counterpart could be used as a marketing hook. This was a first in the world of robot anime. Raideen’s design is officially co-credited to Katsushi Murakami, Studio Nue (Kazutaka Miyatake and Naoyuki Katoh), and Yasuhiko Yoshikazu. In other words, it represents the collaboration among an industrial designer, a pair of sci-fi visualists, and a character designer. This system would rise to great prominence during the robot anime era. Raideen represented a situation where an all-original concept was “filtered” through the particular expertise of each of the development team members. This resulted in a “trifecta” of a design with play value, set in a unique world, that was in turn easy to control. This added value not only made the series a hit, but also represented a watershed moment for the genre. 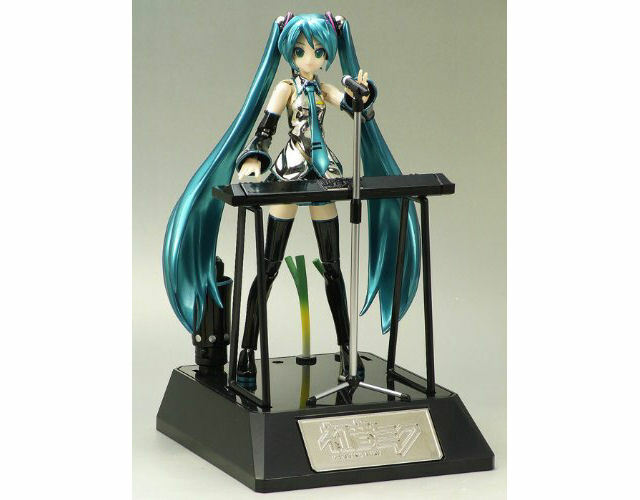 From this point forward, the business model for creating televised anime productions would center on toy companies. Esse relatório em .pdf pode ser lido na íntegra aqui.